Multiple filter system - The washable filter cartridge is hygenic, economical and eco-friendly. Swivel wheels with locking brake - For comfortable manoeuvring. With parking brakes for safe locking during usage. Integrated accessory box - With suction hose holder For convenient storage of accessories and nozzles for the vacuum hose. 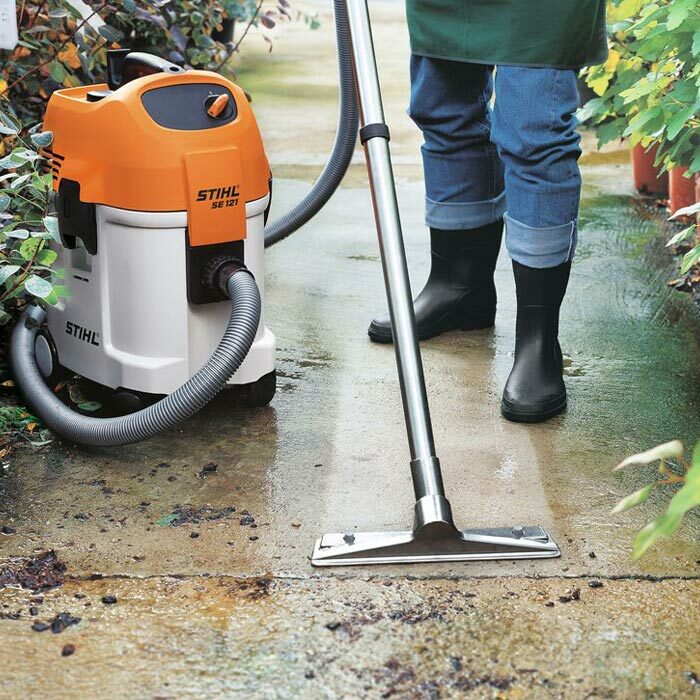 Stainless steel handle with quick-release coupling - The stainless steel handle with quick-release coupling attaches the suction hose to the handle in a flash. 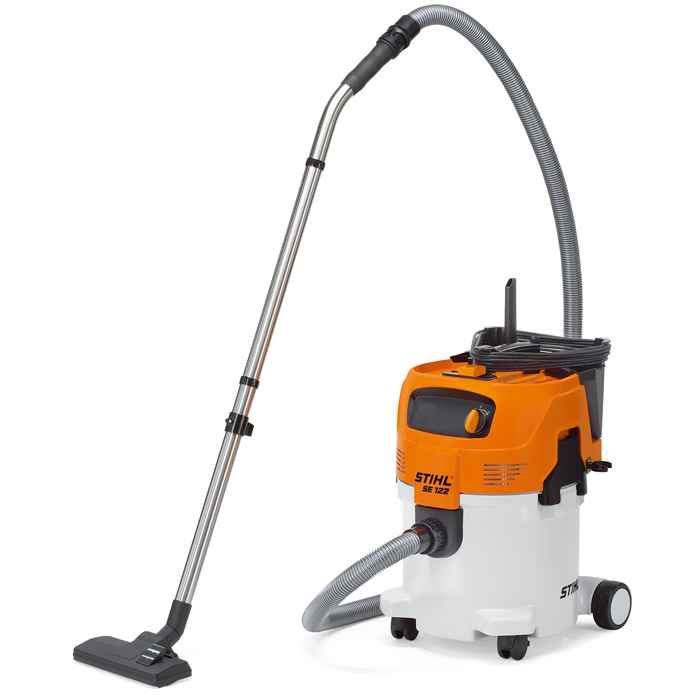 Stainless steel suction tube - With the robust and durable stainless steel suction tube, dust, metal chips, debris or fluids can be cleaned quickly and effortlessly. 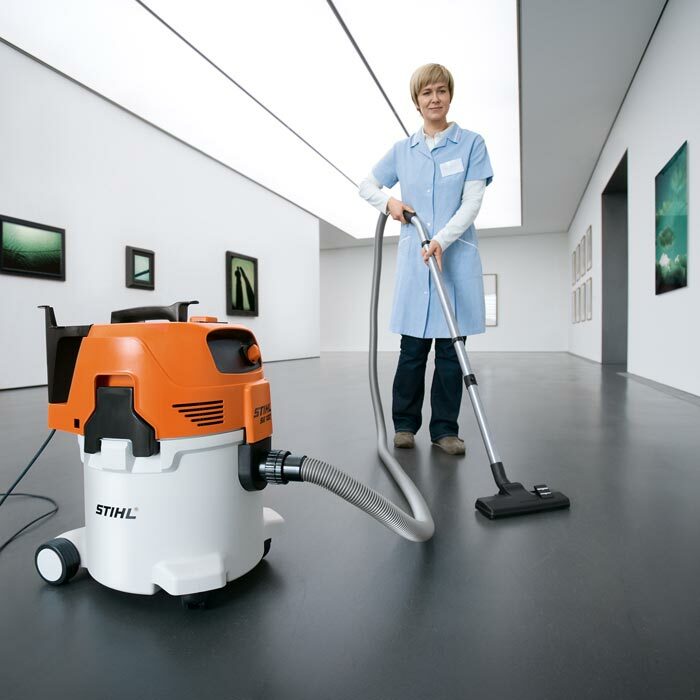 Universal floor nozzle - With the universal nozzle, different types of flooring can be cleaned quickly and thoroughly.